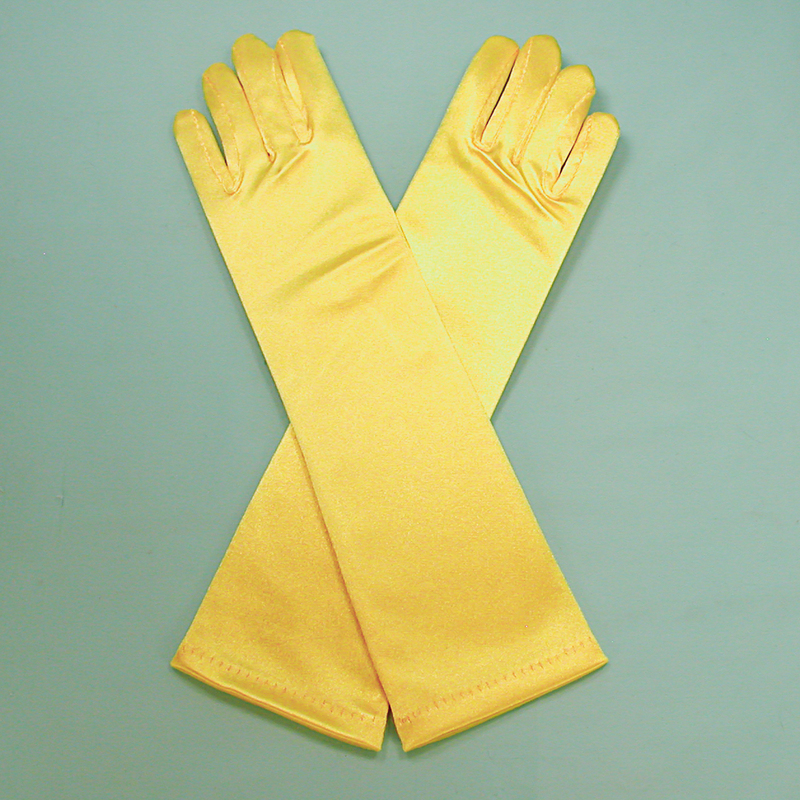 Long Satin Stretch Gloves for Children, Ages 3-6 Long satin stretch gloves for children ages 3-6. These gloves are made from a quality stretch fabric to fit a range of sizes. Color: yellow Hue: Code: #FFFF00.